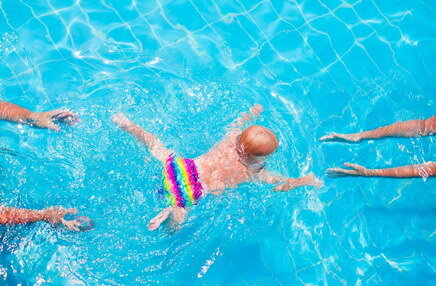 Marbella Swim – swimming lessons for children, babies and adults at your home in Marbella. Baby swimming lessons with Marbella Swim focus on the multi-sensory experience of water and the pleasurable sensations associated with it. Active floating, buoyancy supports, front and back rides with relaxed holds and featherlight touch give your baby a sense of security and freedom as well as starting to develop a love of the water. Children’s swimming lessons with Marbella Swim promise to be fun! Private swim lessons are tailored specifically to your child’s needs and individual pace with safety as the primary concern, we teach basic swim skills, stroke technique, stamina and other fun aquatic skills such as diving, turns and snorkelling. Kids always love their lessons with Marbella Swim. Marbella Swim offer swimming lessons for the grown-ups, too. Whether you are learning to swim, want to improve your stroke technique, learn new skills like diving or competitive style turns, or want to overcome a fear, we will be by your side in the water supporting you in a calm and relaxed manner and equipping you with the knowledge and skills you need. Marbella Swim aqua fit sessions improve your cardiovascular fitness while strengthening your muscles and working the core. Don’t be fooled, aqua fit classes are not just for seniors! You can enjoy a surprisingly hard workout in the water and it’s a great way to diversify your training – aqua fit sessions are tailored to your specific needs and goals. Aqua yoga combines water fitness, relaxation, wellbeing and focus on the breath. Classic yoga postures are adapted to the water which provides a pleasant alternative to land based yoga. Marbella Swim aqua yoga classes generally contain an aerobic section, a fluid movement section, and a relaxation, all sessions are tailored to suit you individually. 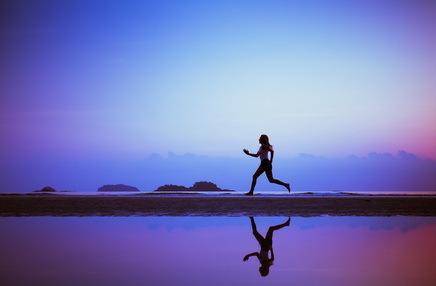 Marbella Swim’s invigorating personal training sessions are adapted to a wide variety of client goals and needs. Our areas of expertise include circuits for full body strength and cardio sessions, HIIT, strength training, TRX suspension training and personalised nutrition plans. Training with us you are guaranteed to feel invigorated and inspired to do even more. Marbella Swim is a sister company of Ibiza Swim, Mallorca Swim and Cabo Swim. 2019 sees Ruth using those eleven years experience of creating, developing and running Ibiza Swim to extend to Cannes, Mykonos, Menorca, Monaco, Saint-Tropez, Tulum and Tenerife as well as Marbella. Her ethos and commitment to providing exceptional teaching, running a highly motivated and happy team, and providing and the highest of professional standards remain the same.